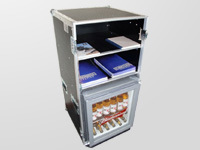 As Flightcase Manufacturers, we can customise or create bespoke flight cases for any application or equipment. It’s easy to find a case on the site that you like, but if you’re not sure it will fit or if it’s right, we can customise it specifically for you! While our bespoke flight cases are suitable for that one off, special piece of gear; our custom flight cases are designed for you in a way that is cost effective and can be reproduced easily. This means we can supply these cases in mass quantities so we can fulfil almost any order! The huge number of flight cases we build and supply gives us a wealth of experience and know how to create custom flight cases that offer complete protection. Our custom flight cases can be designed to protect absolutely anything, ranging from pianos, cameras, mannequins, guns and fridges. In addition, our custom flight cases can be further enhanced with customised padding designed around your piece of equipment. This includes completely custom inserts, colour key routed plastazotes and any other assorted interior set up. Furthermore, the outside of the case can be customised to display your logo, any other graphic or any colour. Order your Custom Flight Case Today! 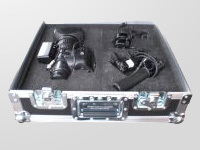 Got the image of your custom flight case now? Then go for it! 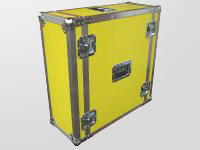 Get a custom flightcase quote today! Our rates are very competitive and we will beat any genuine like for like quotation. We can supply cases in any number and no job is too small! If you would like to discuss your specific requirements or wish for further information, then please don’t hesitate to contact us on 0800 612 7097. 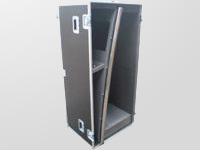 We’ve included some examples of our bespoke flight cases below. We’ve built hundreds of different cases to suit an extensive range of protection needs. So, go on – check out some of our favourites below!